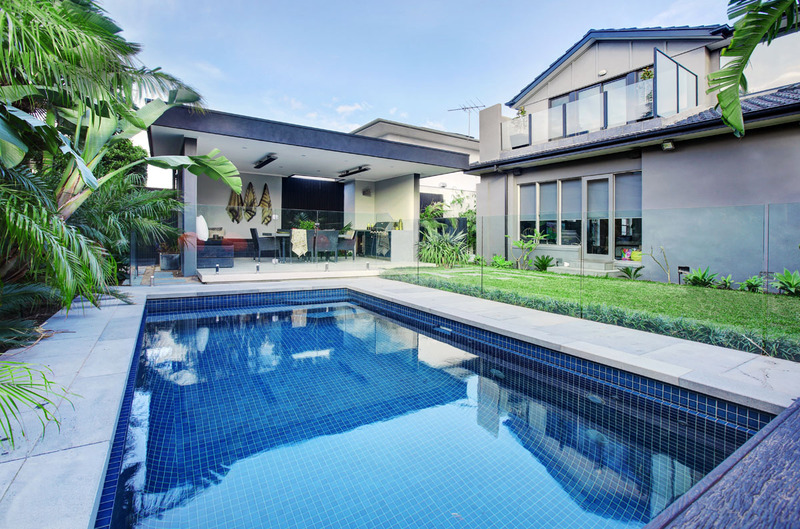 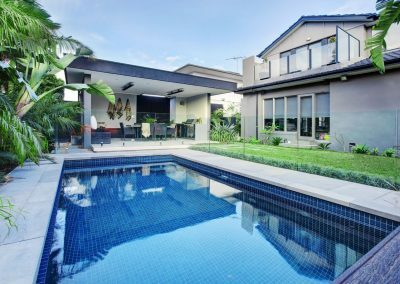 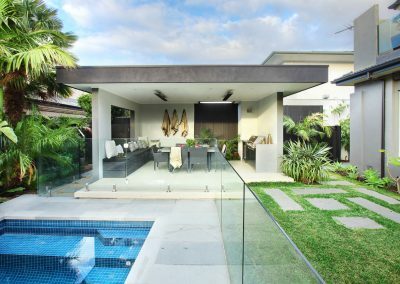 The Perfect Combination of Outdoor Living – A beautiful pool and spacious outdoor pavilion set amongst a gorgeous tropical style garden. 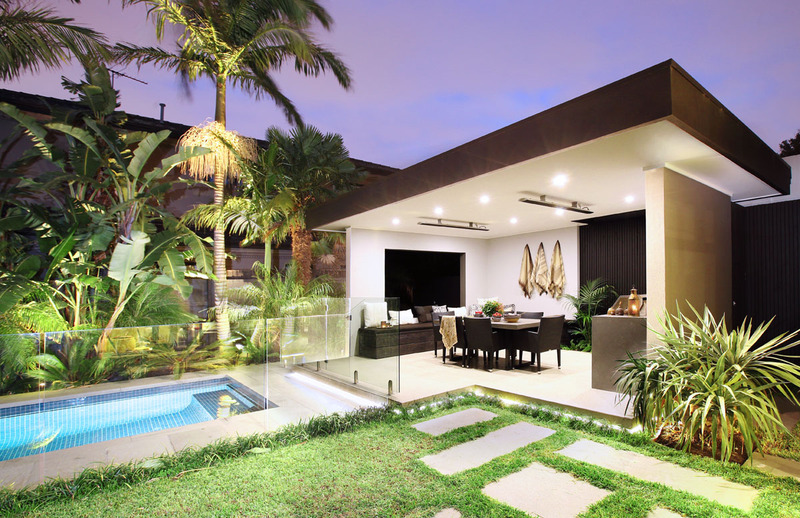 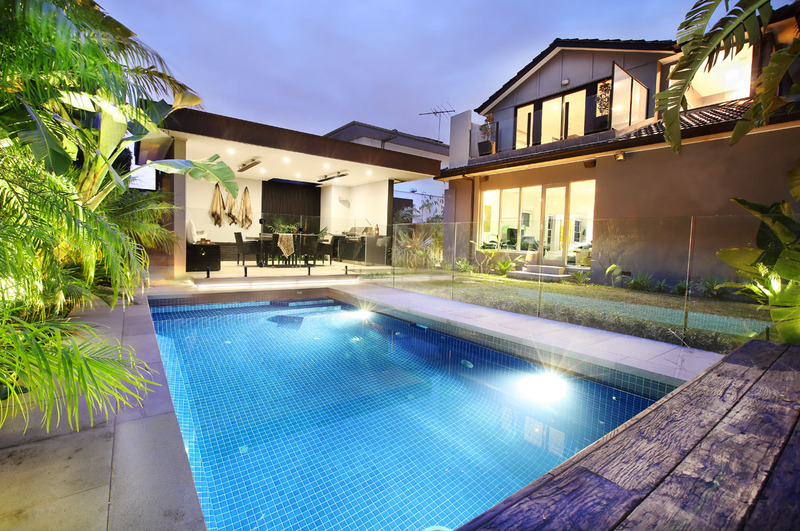 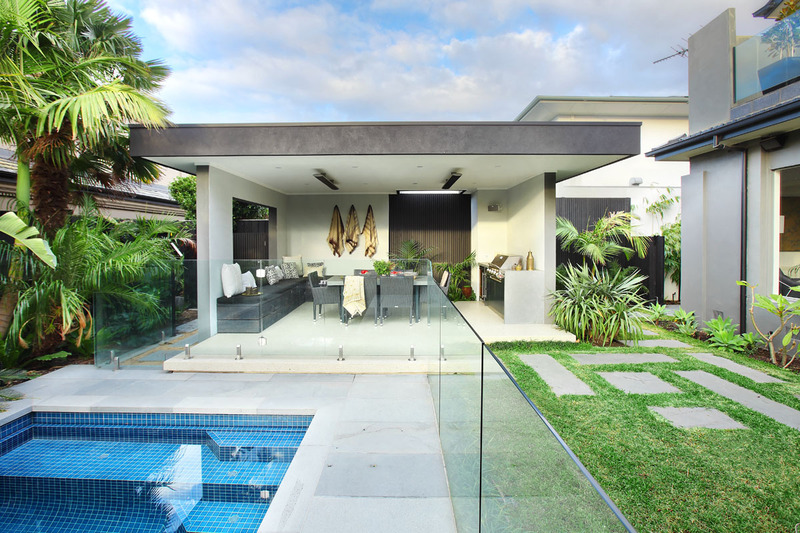 This inviting entertaining zone designed with the whole family in mind and has plenty of space for everyone. 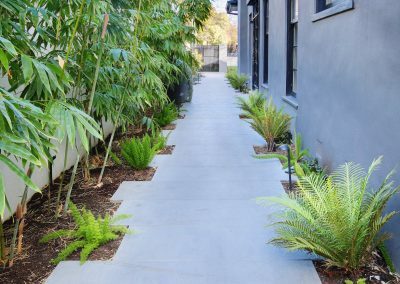 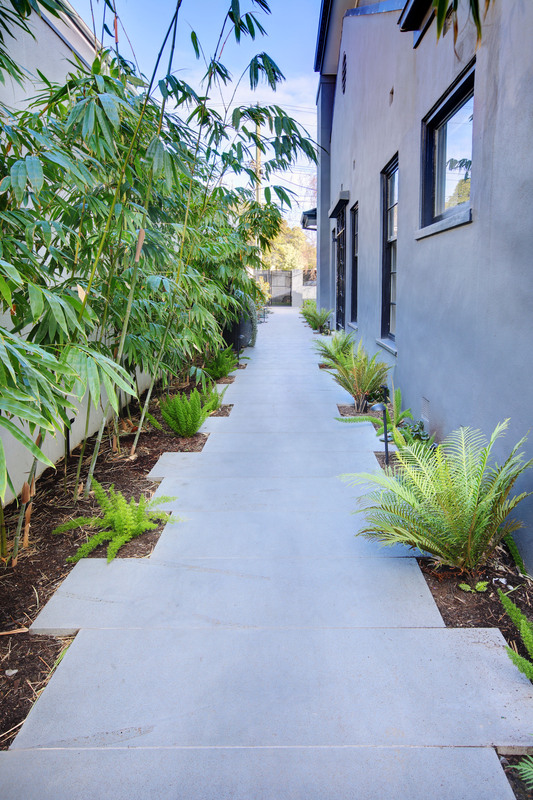 We have created an attractive entrance with pathways meandering through a spacious walkway, leading to a stunning outdoor entertaining area. 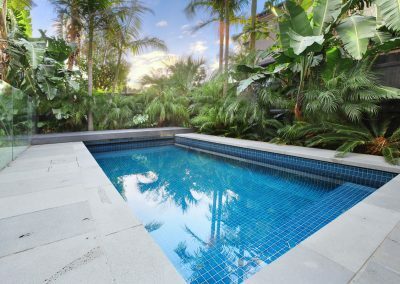 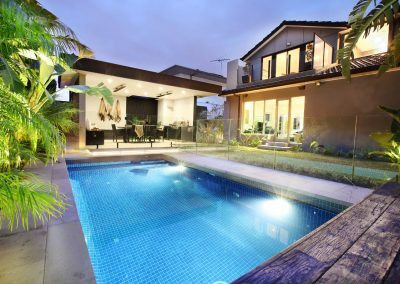 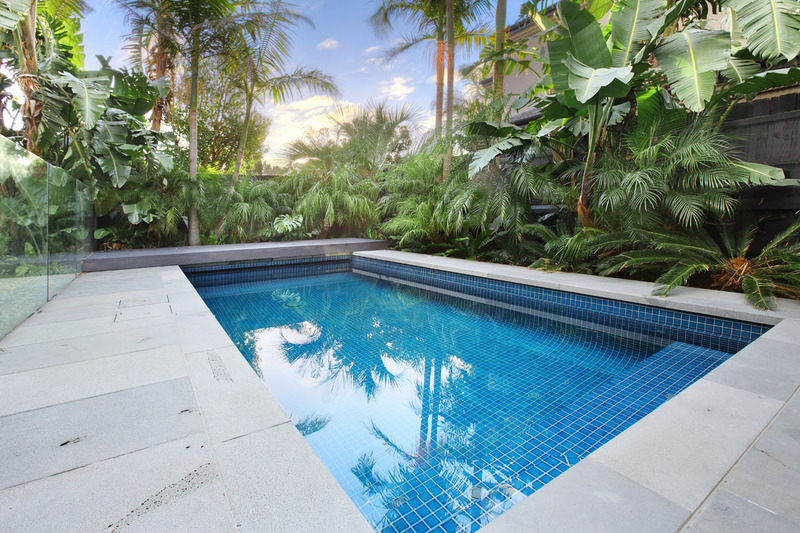 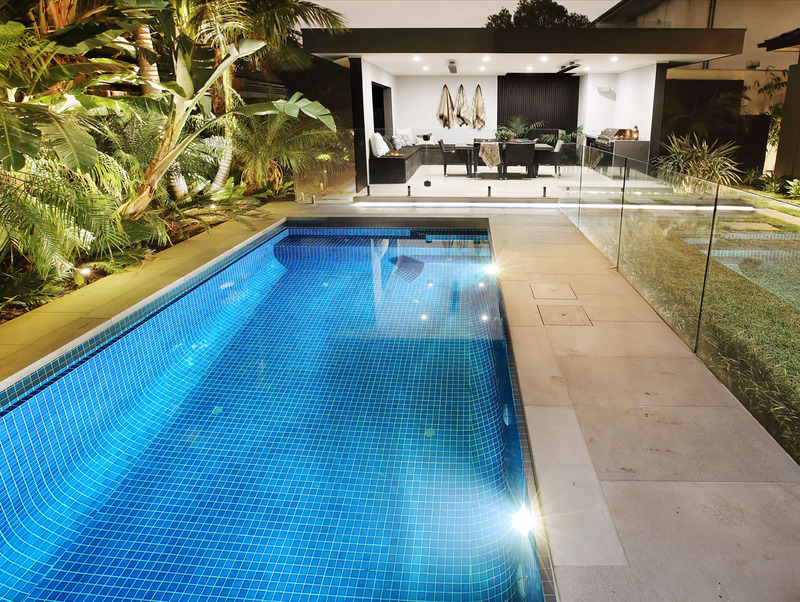 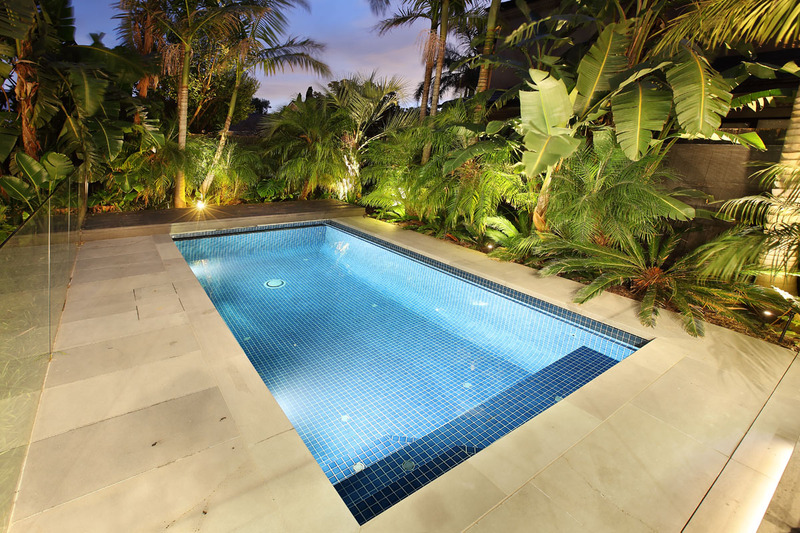 The fully tiled pool is framed with natural bluestone, with a sun deck area to one end and a magnificent outdoor room on the other. 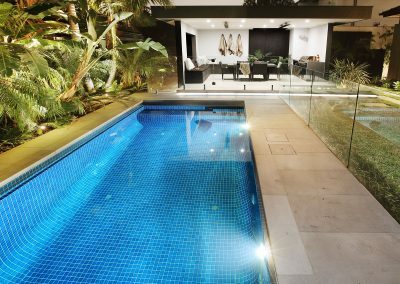 This room has been constructed in an elevated position on polished concrete flooring, creating a floating effect above the pool. 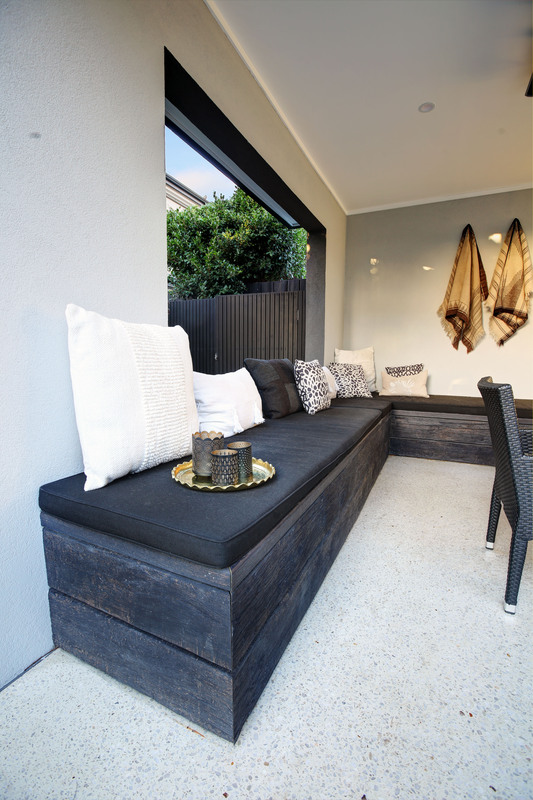 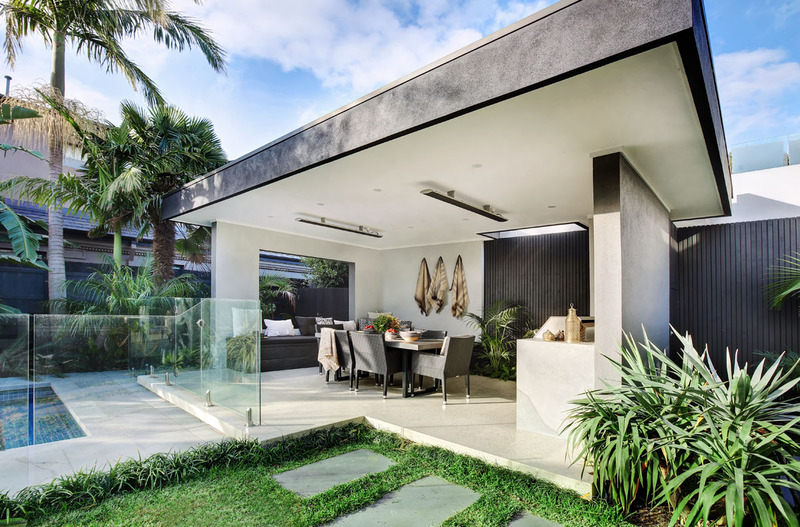 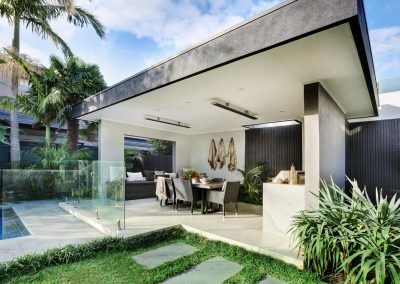 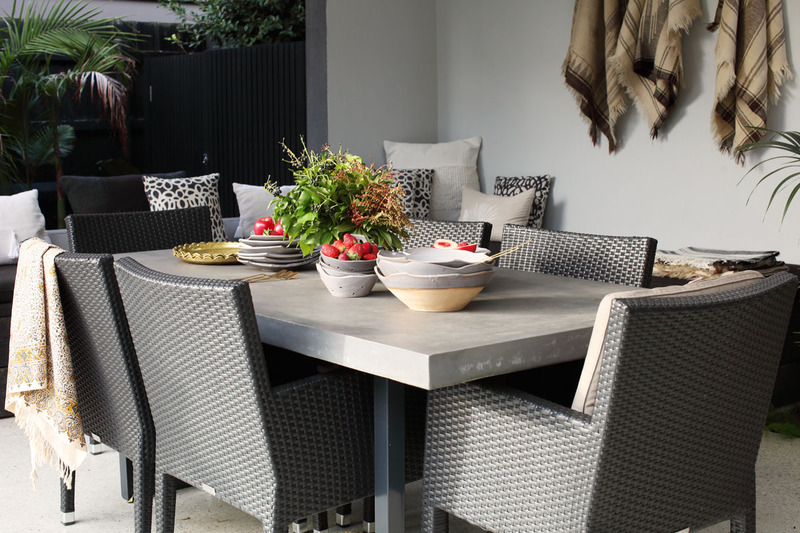 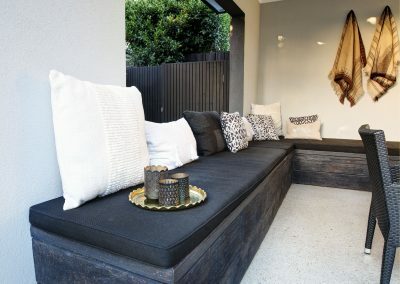 Complete with alfresco dining, bench style seating and an open feature window, all blending with the lush green surrounds. 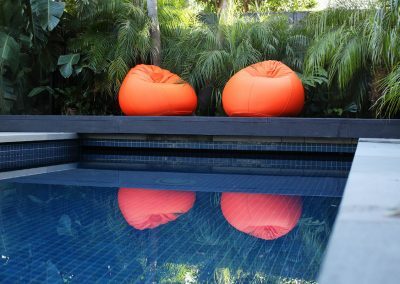 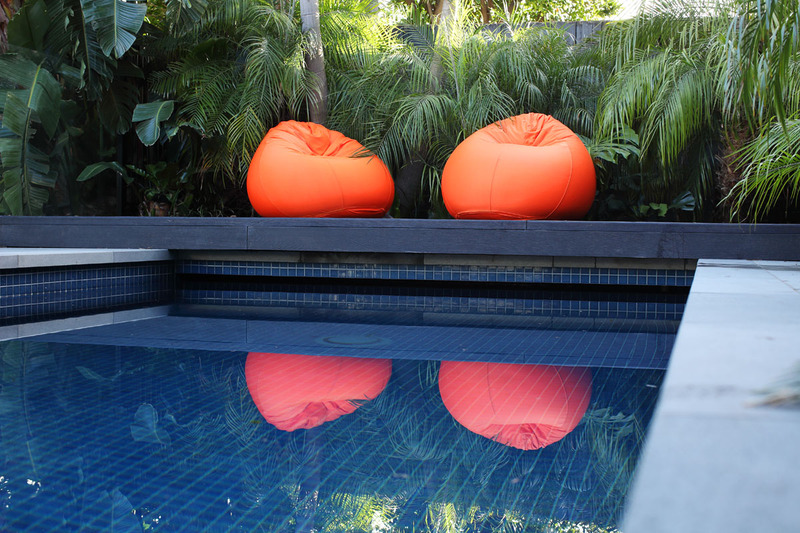 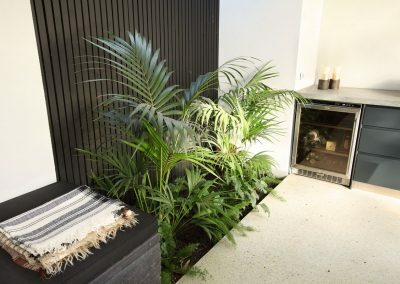 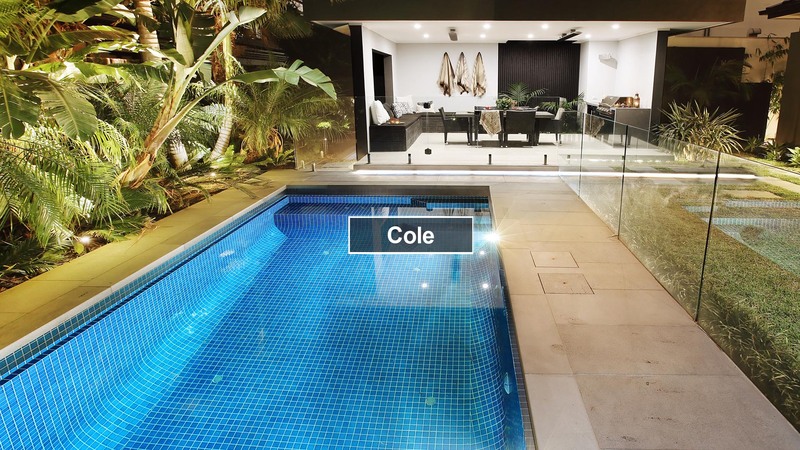 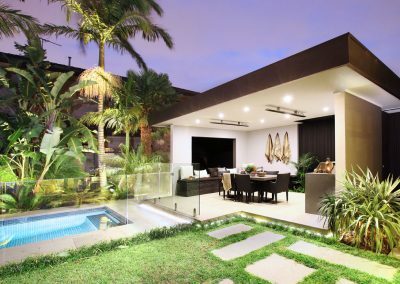 A fantastic entertaining zone to relax and enjoy, the perfect getaway at home and an absolute pleasure to deliver a great result for wonderful clients.